Today’s announcement of a strategic partnership between Mitel and Talkdesk, as detailed on No Jitter here and here, is more than just an agreement for Mitel to resell Talkdsesk -- it tells a lot about the state of the marketplace and how market leaders are dealing with the constant rate of disruptive change. Under the new partnership, Mitel will offer MiCloud Connect CX, an over-the-top (OTT) public cloud contact center solution powered by Talkdesk. If the idea of Mitel partnering with an OTT cloud provider sounds familiar, there’s a reason: Last year, Mitel launched MiCloud Engage, powered by Serenova. I’m always impressed when a vendor embraces a potential competitor to strengthen its portfolio. The all-too-familiar alternative is to pretend that current solutions are perfect for all customers. However, the key to success in these partnerships is a complementary fit, and the alliance with Serenova wasn’t complementary enough. Serenova’s solution also had some significant overlap with Mitel’s Contact Center offerings in terms of functionality and complexity. Talkdesk, on the other hands, offers a quicker and simpler implementation that better addresses the needs of Mitel’s smaller customers. The partnership also points to an overarching pattern with other sectors of cloud services: Revenue growth must be a top priority. We are early in CCaaS, and the winners of tomorrow will be the companies that get users today. Growth is more critical than features and profits. Cloud services is a long game, and we have seen that the providers that focus on the top line eventually win at the bottom line -- sometimes it takes decades. That’s why this deal is intriguing for both Mitel and Talkdesk. It accelerates growth for both companies in CCaaS in ways they otherwise wouldn’t have been able to pull off. One of the more interesting aspects of this partnership is the current trajectory of Talkdesk. The young company raised $100 million in new capital last year and is using the funds to invest heavily in sales and marketing. It has been successfully transitioning from being an unknown to a serious contender in CCaaS. Mitel will be able to take advantage of that momentum to go into new accounts as well as protect legacy accounts that are looking at next-gen CCaaS. Rather than having to compete against this disruptive market force, it can leverage it. For Talkdesk, the partnership provides a warm introduction into Mitel’s customer base and a significant expansion of its channel network. Mitel’s base is filled with small- and medium-size contact centers that are a good fit for Talkdesk’s solution. 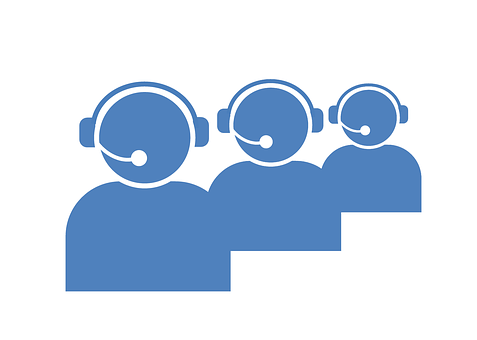 MiCloud Connect CX can be installed into an existing Mitel environment in a matter of days or weeks rather than the months it could take to implement a more traditional contact center. It could be a great story for Mitel customers. There is a gap in the marketplace at the moment where many UC and UCaaS end users want both a best-of-breed approach, yet fewer providers. Offering a true enterprise-grade UC and UCaaS solution with a strong CCaaS should be compelling for Mitel -- and its customers. It’s a tough break for Serenova. The company continues to struggle with market momentum. CxEngage is certainly a viable solution, but often overlooked by prospects. The company rebranded a few years ago, yet for many, the former LiveOps branding seems to have more goodwill and recognition than the Serenova name. I respect Mitel for making the change. CCaaS is moving fast, and if something isn’t working then a response is needed quickly. There’s a tremendous amount of investment and innovation occurring in CCaaS. All the pieces on the board are moving, including the economics, value proposition, scope, and providers. Regarding the provider landscape, we have seen Amazon Web Services and Twilio enter the CCaaS space, Cisco launched its Customer Journey Platform, Vonage and RingCentral made strategic acquisitions, and multiple new CCaaS providers emerged last month at Enterprise Connect 2019. The disruption cycle, formerly measured in years, is now measured in months, and this pace is expected to continue. That probably means more creative partnerships like this one are likely in the future.